This nation is in Vacation Mode for the next 2,051 turns. This nation cannot be attacked or traded with during that time. 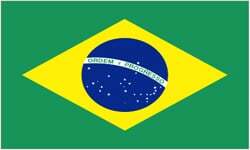 Salvador is a nation led by King Diego Miranda on the continent of South America. Salvador's government is a Democratic Republic with very moderate social policies. Economically, Salvador favors moderate policies. The official currency of Salvador is the Dollar. At 100 days old, Salvador is a mature nation. Salvador has a population of 48,319 and a land area of 1,810.00 sq. miles. This gives it a national average population density of 26.70. Pollution in the nation is evident. The citizens' faith in the government is seriously lacking with an approval rating of 2.3780%. 03/11 12:27 am - Salvador had war declared by rusty for the reason of "Arrgh!". 03/02 06:23 am - Sunara removed Diego Miranda from the alliance Pantheon. 02/02 04:56 am - Salvador had war declared by Wardenclyffe for the reason of "We have come to liberate you".